It's easy to grow tired of seeing the same people day after mundane day. Say hi to the neighbors. Ask your cubicle mate what they did over the weekend. Try not to stare at that guy on the train with a cat sitting on his shoulder like a parrot. 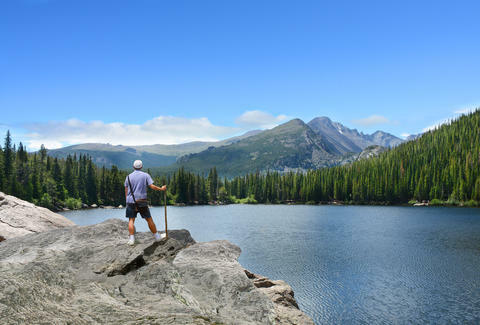 Frontier Airlines has a sale going that will allow to you break free from that routine. The sale touts one-way flights for $24. Though, those lowest prices are reserved for members of the airline's Discount Den. Outside of that, you can find one-way tickets for $34, and round-trip fares for as little as $66.40. Often deals like this involve flights that are basically Milwaukee to Chicago, but the current routes have some longer options. 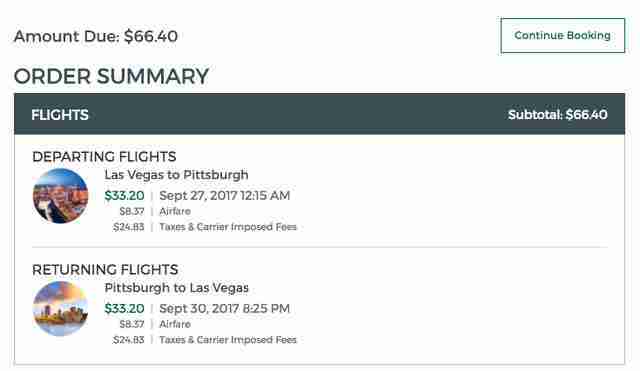 The below-cited flight from Pittsburgh to Las Vegas is among the cheapest available. At the time of publication, 76 routes had one-way tickets for less than $50 and had return flights at the same price point. Each route has different sale dates, but most are from late September into early December. Frontier's luggage fees can get a little complicated, but you save money by paying for your bags online at the time of booking. That will cost you $30 for a carry-on (personal item is free) or $25 for a checked bag. It's not for everyone, but if you can deal with being assigned a seat, and you're capable of packing light, fares this low can still be a cheap trip after the fees. Either way, it's certainly better than going to work.